At SEO Advantage, our 20+ years of experience in internet marketing has taught us a heck of a lot about innovation, critical thinking and the many diverse skills needed to succeed in today’s ever-changing online landscape. As we look to the future, we take nurturing talent very seriously — and what better way to do that than by offering a college scholarship! What type of social media presence do you expect from your college or university? We were thrilled to receive many well-written and thoughtful submissions. Ultimately, the winning essay impressed us with its relevance, compelling story and high quality. We’re proud to announce our winner: Kristina McGee! Kristina is a freshman at California Lutheran University majoring in Marketing Communications. 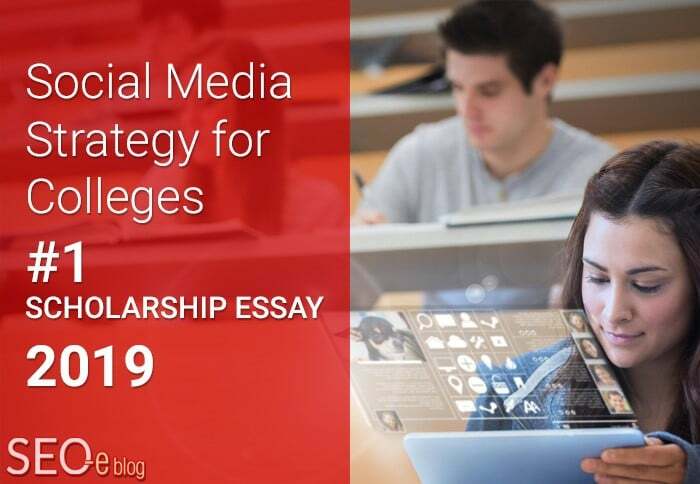 Essay prompt: What type of social media presence do you expect from your college/university? Why? It started as a typical morning at California Lutheran University. As usual, I woke groggily at 7:00 a.m. so I could grab a coffee before the dreaded 8:00 a.m. class. As usual, the first thing I did was fumble for my phone to turn off my alarm. But suddenly nothing was usual again. 7:00 a.m. in California is 10:00 a.m. on the east coast, where my family lives and where I attended high school. So by the time I woke up, friends and family back east had heard the devastating news. What I first saw on my phone were dozens desperate texts: “Are you okay?” “Please tell me you weren’t at the shooting.” “I love you.” In the dark literally and figuratively, I wondered how to find out what was happening for sure. California Lutheran’s social media. Sure enough… there was the text. I checked their Twitter. Again, there it was. Next, the website. Finally email. I had my answers. It was not the news I wanted to hear, but I knew. I had expected my college’s social media to provide answers and guidance, and it had. I then logged onto the national news. Thousand Oaks, of all places. A shooting. Within walking distance from campus. It didn’t make sense. When I toured California Lutheran during my college search, my friendly guide assured the applicants and parents that Thousand Oaks is one of the safest cities in the country. It was shocking to know a mass shooting happened so close by, not to mention that students from Cal Lutheran had been present. This November morning, the Borderline shooting was the top story in the world. Amid the panic and grief, what was most reassuring was our college social media. It informed us and gave us truth, advice, and guidance. Even more, in the coming days, our social media was the glue that held us all together, reassured us, and offered resources for care and healing. We learned how the college was there for us, and how we could support loved ones of victims and first responders. And when I say “we” I mean not only students, but also our families, alumni, and the Thousand Oaks community. That probably was not what California Lutheran imagined when they originally developed their social media platforms. With the challenges of appealing to multiple audiences, with multiple purposes, with multiple platforms, they may never have expected that one day all these resources would be called forth to address a human tragedy bigger than anything known to the college before. And it was probably not students’ thoughts to ever need to consult social media for a life and death situation. Despite these usual functions, when it came to a tragedy, social media was there for us as well. Through email, the website, texts, and tweets, the college connected all stakeholders… even some who, until now, had not used social media often. In fact, California Lutheran probably never expected their social media would, one week in November 2018, serve as an information hub, source of comfort, a unifying force, and support center for so many alums, families, community, and prospective students. Beyond the typical functions of social media presence, I now know how critical it can be. And social media, often maligned by some, is now seen by all of us in the California Lutheran community as a lifeline to each other. Kristina McGee is a freshman at California Lutheran University majoring in Marketing Communications. 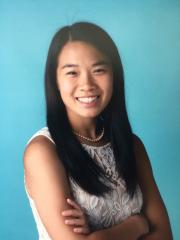 She originally discovered “Cal Lu” through social media; therefore her philosophy in terms of her college, major, and life is “creating community online.” Even though she attends school in Southern California, Kristina calls Swarthmore, Pennsylvania home. She doesn’t miss the cold weather, but has a special place in her heart for all things Philadelphia and misses her dog. Her goals for her West Coast stay are to learn to be a good surfer, drive down the coast, and appreciate all the fresh fruits and vegetables that abound all year. Congratulations Kristina, and thanks for sharing your story. We wish you all the best in your college experience and keep up the awesome work!